Clicker training is a method of training horses that uses a marker signal to identify a specific behaviour. The horse is then given a reward such as food. This motivates them to repeat the marked behaviour. The most commonly used marker signal is a “click” sound which is made by a small hand held device known as a clicker. This is where the term “clicker training” came from. Horses quickly learn to repeat any behaviour marked by the “click” sound. After many repetitions we can then gradually raise the standard of behaviour required to earn a click and reward. The process of gradually raising the standard of behaviour is called “shaping a behaviour”. This means we can start off rewarding the smallest movement or slightest try and gradually progress to teaching the horse more advanced behaviours or behaviour chains. We use clicker training to train a new behaviour or improve a response. Once the behaviour is estabished, reliable, on cue and can be performed in any environment even with distractions, we can then phase out both the click and rewards by switching to a variable reinforcement schedule so we don’t have to reward the behaviour every time. This keeps the horse keen and trying hard, it also means you won’t need to be giving clicks and treats while you are going around your dressage test! 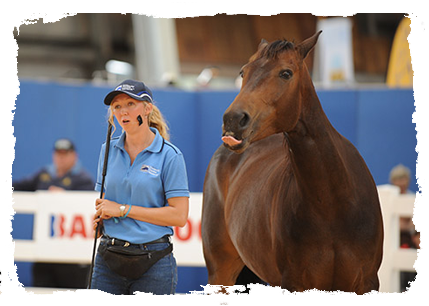 You can use clicker training to teach your horse every behaviour it will ever need to know. e.g Leading, handling, worming, injections, hosing, hoof care, preparation for vet care, float loading and trailering, desensitizing, long reining, in-hand training, lunging, preparation for riding, starting the young horse under saddle, foundation training under saddle, obstacle training, preparation for trail riding, dressage, jumping, working equitation, eventing, sporting events, showing in hand and under saddle, western events, reining, trail etc. Clicker training is a safe and effective way to solve behaviour problems such as: tension,spooking, shying, bucking, rearing, bolting, biting, kicking, striking, head shy, hard to catch etc. Clicker training is based on the science of how animals learn. It is used in zoo’s and marine parks around the world because it is the most gentle and effective method for training all types of animals. Clicker training is easy to understand and easy to apply effectively with some guidance. 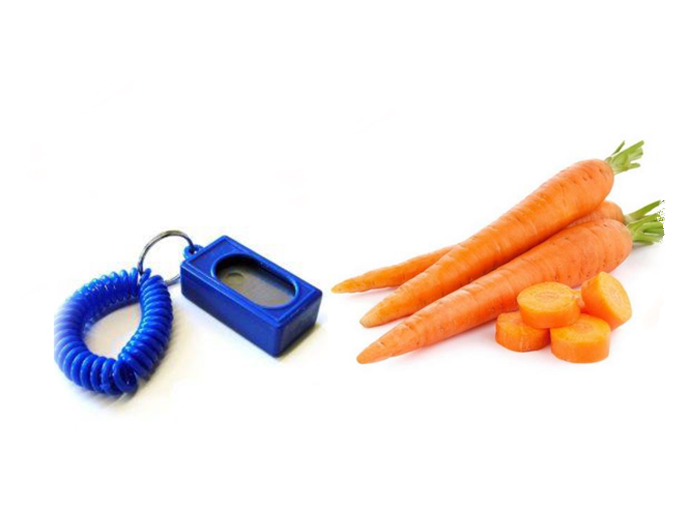 Clicker training is suitable for horses of all ages and breeds. 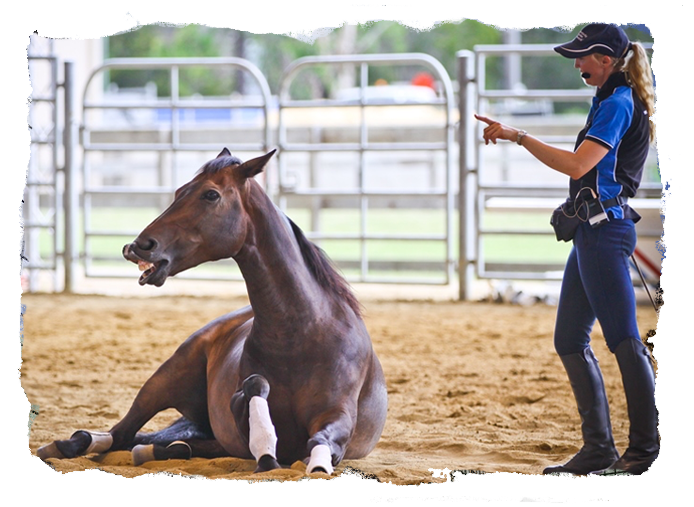 Clicker training fits in with most classical horse training systems and enhances the results you get by improving the horse’s understanding, motivation and willingness. Clicker Training Articles– Read and learn all about clicker training, how it works and how to do it. Clicker Training Videos – Watch free training videos. 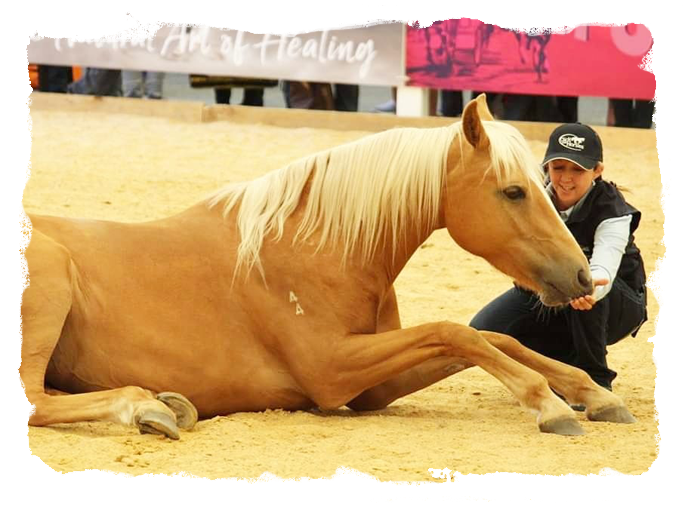 Click With Horses is dedicated to helping you bring out the best in your horse with Clicker Training. We aim to provide you with easily accessible information, tips, articles and videos as well as lessons, clinics and online training. Horse trainers from all disciplines and backgrounds are getting amazing results with Clicker Training. Start clicker training your horse today and you will discover why this simple and effective training method is the way of the future in horse training.